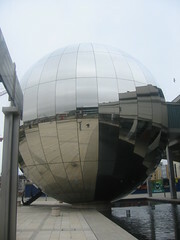 This ball is near the Waterfront in Bristol. 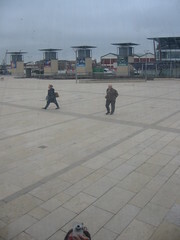 The steps coming out of it suggest the scale. I couldn’t resist the opportunity to stand underneath it and take a picture of the distorted view within one panel including passers-by. I’m about to spend a week driving in the UK. I’ll be reading Ben Elton’s “Gridlock” (review from ‘Punch’ 1991). 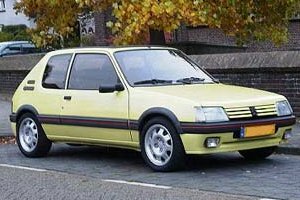 The book title alone is personally relevant given the time I’ll be spending in s ‘Small Car” (Peugeot 205) on infamous roads! I’ll be driving on the M25 (nicknamed ‘Road to Hell), the London North Circular, A4, A40 M4, M40, M3, M23, M27, and other lesser known but equally mystical highways. I do find British roads fascintating. 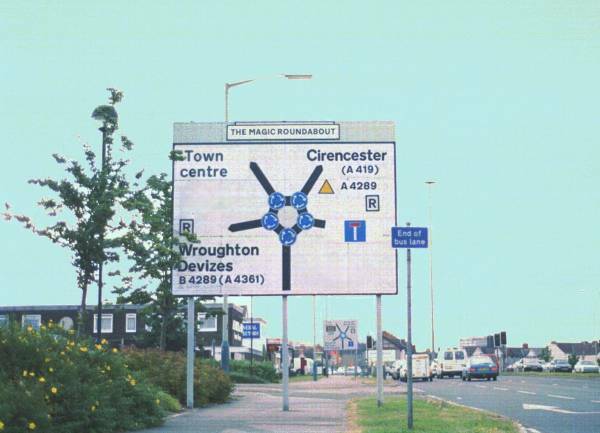 There is even a webpage describing infamous bad Motorway junctions!. Such a thoughtful service to internet enabled drivers. It is the ultimate ‘traffic calming’ device. You have no idea where you should be going, where another confused driver might be coming from, or who has the right of way. The ony safe strategy is to drive extremely slowly, keep looking around, and ignore your mobile phone..! I must confess my road-geeky-ness inspired me to read Jack Kerouac’s book. I love the description of Ben’s book as a “Comedy Thriller“. 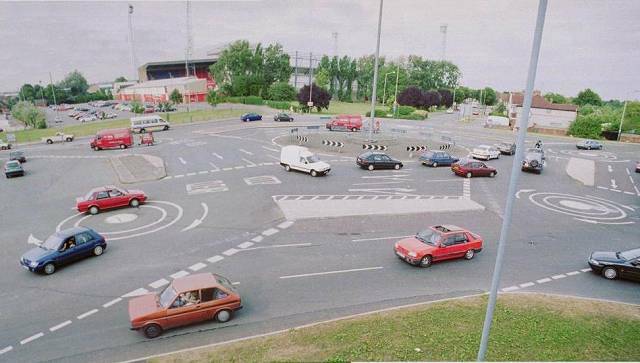 That description applies directly to roads and junctions like the Magic Roundabout!